Thank you so much for hosting me today for the “12 Brides of Christmas” Author Spotlight! 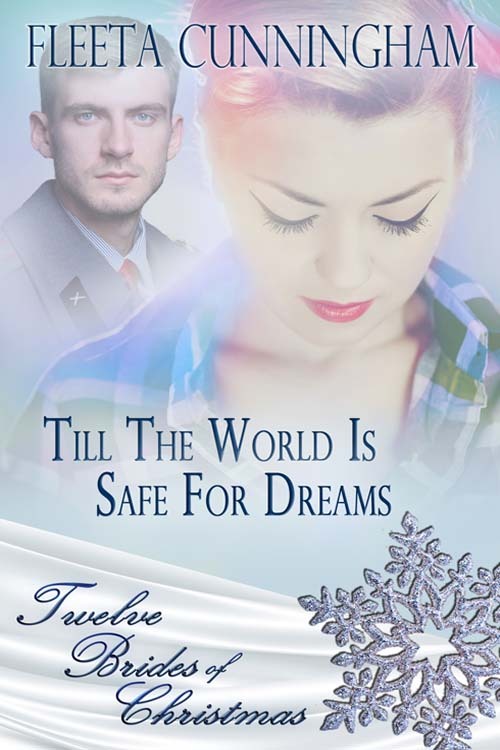 My book, “Till the World is Safe for Dreams” is the third stanza of the Twelve Days of Christmas which includes three French hens—and a World War II bride. It’s a sweet story set in the turbulent days of 1942. For a chance to win a FREE e-copy of “Till the World is Safe for Dreams” comment below with your memory of a Christmas when things just didn’t work out the way you planned. I will be choosing one random comment by 6:00 p.m. Central Time tomorrow, so leave a comment! Thanks again for stopping by, and please leave your comments. A lot of dreams were put on hold when bombs hit Pearl Harbor, including Kay and Jeremy’s wedding plans. Now he’s half a world away, injured, and Kay is hiding her worry about his wounds from her meddlesome grandmother and aunts who disregard the realities of war and are determined to plan a fairytale wedding. Kay is carrying on, spending her days in a war plant, forging bonds with other women who worry and wait. The she hears—Jeremy’s injuries are serious, life threatening. Will he come back? If he does, will he be the same? Will the world ever be safe for dreams? In “Till the World is Safe for Dreams”, you often mention rationing and the shortages the folks at home faced during World War II. How did families manage Christmas with so many staples of holiday cooking rationed? During the war, everyone faced hard times with ingenuity and ‘make-do’ determination. Women with small children were hard pressed to create a holiday meal for their families. And finding a way for Santa to bring presents to the children was no easy task. Newspaper columns, like the one Kay’s mother writes in the story, offered special recipes, making use of every substitute, so some flavor of the holidays was maintained. Sugar was scarce and so was coffee. But honey and molasses were available so many cake and candy recipes used them to replace sugar. Most homes had a small “Victory Garden”, often converted from a flowerbed to a vegetable patch, and home canning kept meals healthy and colorful. Though meat was rationed, chicken wasn’t, and many a festive meal featured a baked hen as the main course. On Christmas Eve, not many stockings were filled with candy, but an orange was a special treat. Many a little girl was thrilled to have a rag doll, created from the odds and ends from her mother’s scrap bag. Fortunate was the boy who received a homemade set of bow and arrows constructed in Grandpa’s garage. You might want to try the cake Kay’s aunt created for Christmas; here’s the recipe. *Grind corn meal until it is fine as flour. Beat molasses and oil. Add flours and milk, baking powder, cinnamon, salt, and cloves, stirring just until smooth. Add raisins. Pour into loaf pan. Bake at 350 degrees for 60 minutes. Christmas didn’t work out quite the way Kay and her family expected. Maybe you had one that had an unexpected twist, too. Tell us about it and you might win a copy of “Till the World is Safe for Dreams”. Look forward to hearing from you. A fifth generation Texan, Fleeta Cunningham has lived in a number of small Texas towns. Drawing on all of them, she created Santa Rita and its inhabitants. 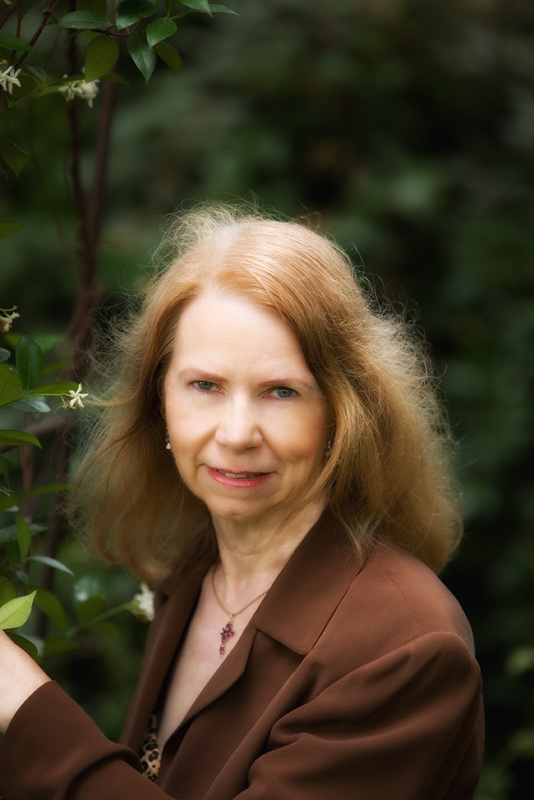 After a career as a law librarian for a major Texas law firm, writing a monthly column for a professional newsletter and other legal publications, she returned to her home in Central Texas to write full time. Along the way, she and her mother had a successful wedding design business, numbering celebrity weddings and ‘unique’ events in their twenty-five years of partnership. Fleeta has been writing in one form or another since the age of eight. When she isn’t writing, she teaches creative writing classes, serves as the wedding coordinator for her church and keeps house for her feline roommates. Her other musings can be found at AUTHORS BY MOONLIGHT or her WEBSITE . She loves to hear from readers. The Santa Rita Series includes DON’T CALL ME DARLIN’, BLACK RAIN RISING, ELOPEMENT FOR ONE, HALF PAST MOURNING, and CRY AGAINST THE WIND. The first book in her new series Confronting Destiny, BAL MASQUE, was released earlier this year. Her story “Help Wanted: WIFE” was named Book of the Month by Long and Short Reviews. Hi, Silver, and thanks for hosting me today. I’ve been reading the other ’12 Brides’ and I’m delighted to be in such talented company. Writing Jeremy and Kay’s story was great, but getting to know the other authors of this set of Christmas tales was even better. Merry Christmas to all the Roses and their readers.